Mr. Lee Thiam Seng (Paul) is a Singapore born artist, art therapist and consultant. Mr. Lee founded UniqArts and Technologies in 1995 with a passion in art, creativity and wellness. 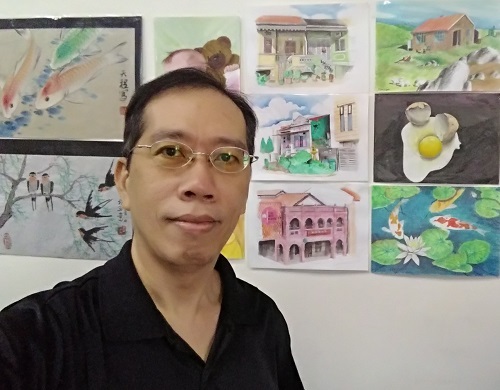 Mr. Lee holds Masters of Art in Art Therapy from LaSalle College of the Arts and a Business Management Degree with Royal Melbourne Institute of Technology (RMIT) Australia. He also received a certificate in Art with Nanyang Academy of Fine Arts (NAFA). Mr. Lee is registered with Ministry of Education (MOE) under Arts and Music Instructors Scheme (AIMS). Mr. Lee is a certified trainer with People Association (PA) for Creative Art course. He is an art teacher (part-time) with United World College of South East Asian (UWCSEA). He is also the Art trainer and coach for ACS (Independent) school. He is the Art teacher for National Silver Academy with Brahm center. Mr. Lee has been teaching art at Kindergarten. Mr. Lee's comic works were frequently selected and published in Singapore Chinese Newspaper - Lianhe Zaobao. 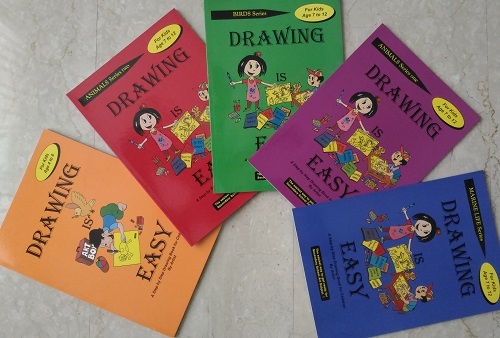 He is the author of the popular drawing books series for children - "Drawing is Easy". Mr. Lee is the pioneer in making art lessons to be delivered online via internet - www.onlineArtclass.com. This e-learning classroom started in year 2000. He is also the developer and trainer for the ARTeach Teachers Training Course. 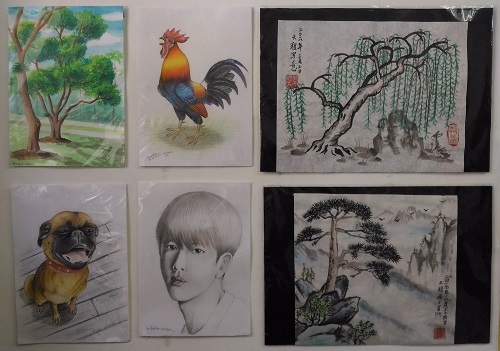 Mr. Lee has won several prizes in Singapore national art competitions. Many of his students are winners of art competitions, for both national and international. Mr. Lee initiated Green Origami and Upcycling project to take the art of paper folding by converting recycle papers into highly functional, aesthetic and useful items for home and office usage. 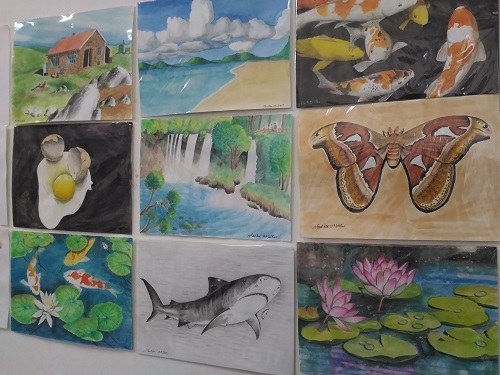 Mr. Lee has facilitated many creative and art projects for therapeutic and developmental for children and adult. He has been teaching art, practising and sharing his passion since 1989. Mr. Lee has been giving art and creativity workshop to corporations, schools and community. Some of the clients are Civil Aviation Authority of Singapore (CAAS), Damai Primary School, Hwa Chong School, Edgefield Secondary School, Chevro, Cherie Hearts Kindergarten,, Estee Lauder, Faber Castell, Health Promotion Board, National Library Board, Singapore Police Force, Singapore Prison Services, Ministry of Education HQ, Feiyue Community Services, PCF, JBS International College, SBS Transit, National University Hospital Systems, NTUC, OAG, Johnson & Johnson, SAP, SCOR, Sony Asia Pacific, Singapore Polytechnics, Republic Polytechnics, St. Lukes, Brahm Center, Thye Hwa Kuan, TOUCH Community Services, Unilever, etc. He has experience in running individual and group art therapy treatment for pupils at Association for Persons with Special Needs (APSN), women with breast cancer at KK Women's and Children's Hospital (KKH), psychotic patients at Changi General Hospital (CGH) Psychiatric Ward, older adults (geriatric) at Kwong Wai Shiu Hospital's (KWSH) Day Rehabilitative Center and Geriatric Day Hospital (GDH) at CGH. Mr. Lee conducted a research at KKH with Institutional Review Board (IRB) approval for his Art Therapy masters thesis: "Art Therapy as a Modality of Healing in Stages - For Women with Breast Cancer." Mr. Lee is a dynamic and versatile artist, he has created many masterpieces and with ability to master many different art forms.